[Apr 2018] Jiang recieved the CSE Outstanding Graduate Student Research 2017-2018 Award. Big congratulations!! [Apr 2018] Dr. Cui was invited to talk on "Multi-omics Integration Towards Understanding Non-coding RNA Regulation in Human Disease" at the Third Annual Midwest Bioinformatics Conference 2018, Columbia, MO. [Apr 2018] Jiang won a NSF Travel Award from the conference on Predictive Inference and Its Applications, and a Young Investigator Grant from the first Midwest Statistical Machine Learning Colloquium. He will present his work at both conferences at Iowa State University in May. [Apr 2018] Bruno, Milad and Megan's paper "A Mobile-Based Diet Monitoring System For Obesity Management" has been accepted by Journal of Health & Medical Informatics. [Feb 2018] Tian and Jiang's paper "A Systematic Approach to RNA-Associated Motif Discovery" has been accepted by BMC Genomics. [Sep 2017] Zeynep's paper "A New Statistical Model for Genome-Scale MicroRNA Target Prediction" has been accepted by IEEE BIBM 2017. [Sep 2017] Jiang's paper "Dynamic and Modularized MicroRNA Regulation and Its Implication in Human Cancers" has been accepted by Scientific Reports. [Jul 2017] Bruno's paper "A Survey on Automated Food Monitoring and Dietary Management Systems" has been accepted by Journal of Health & Medical Informatics. [Jun 2017] Two book chapters have been accepted, to be included in Cancer and Noncoding RNAs and The Handbook of Nutrition, Diet and Epigenetics. 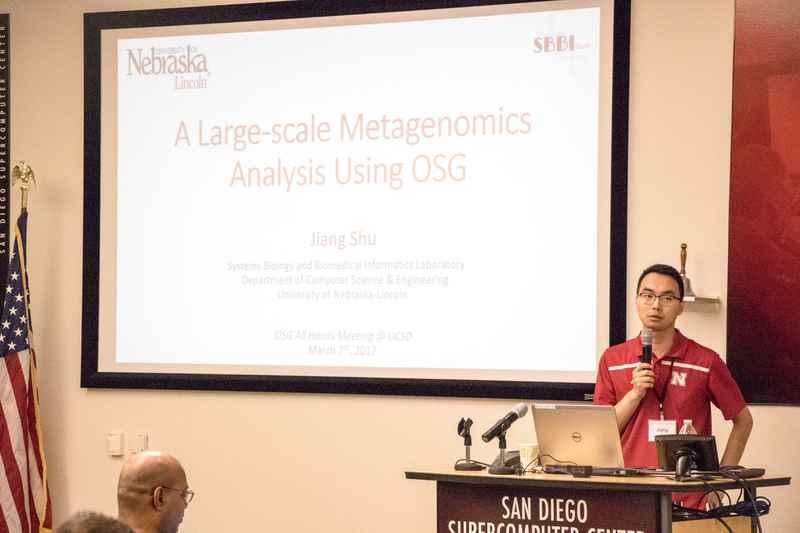 [Mar 2017] Jiang spoke about his experience with the Open Science Grid (OSG) "A Large-Scale Metagenomic Analysis Using OSG" at All Hands Meeting of the OSG hosted by the San Diego Supercomputer Center, La Jolla, CA. [Jan 2017] Paper "Aberrant Expression of microRNA induced by high fructose diet impairs hepatic energy metabolic signaling" has been accepted by Journal of Nutritional Biochemistry. [Jan 2017] Paper "Nutrition, microRNAs and human health" has been accepted by Advances in Nutrition. [Oct 2016] Jaycee's paper has been accepted at the IEEE International Conference on Bioinformatics and Biomedicine (BIBM) 2016. [Sep 2016] Jiang presented his work at the 2nd Annal Symposium of Nebraska Center for the Prevention of Obesity Diseases (NPOD) and received the "Best Poster Presentation Award". [Aug 2016] Tian Gao joined SBBI as the 5th Ph.D. student. Welcome Tian! [Jul 2016] Milad Rad joined SBBI as the 3rd Master student. Welcome Milad! [Jul 2016] Jiang presented our work on "Dynamic and modularized microRNA regulation and its implication in human cancers" at the Intelligent Systems for Molecular Biology (ISMB) 2016 , Orlando, Florida. [Jul 2016] Jiang is invited to attend the Open Science Grid User School 2016 and received the scholarship. [Jul 2016] Team earns a new grant from NIH and USDA! [Jun 2016] Welcome our summer interns: Ashley Francisco (Senior, Lincoln East High School), Kaiyue Pan (undergraduate student from McGill University), Rodrigo Echegorri (exchange undergraduate student from Brazil), and Bicheng Wang (undergraduate student in the Dept. of Mathematics)! 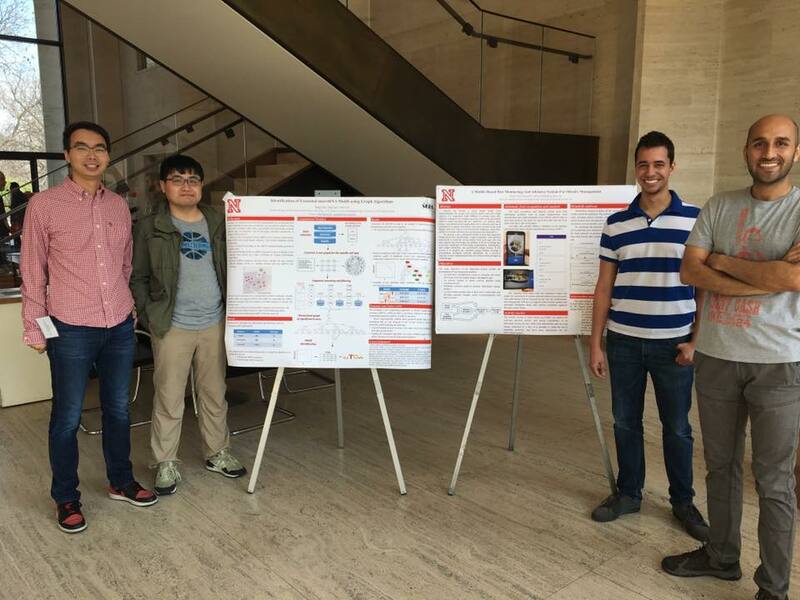 [Apr 2016] Jiang and Bruno presented their project posters at the NPOD Spring Retreat. [Apr 2016] Our group has received the layman award from UNL ORED. [Mar 2016] Two SBBI servers have been renamed to falcon (computing) and panda(storage). [Feb 2016] Dr. Cui was invited to talk on "MicroRNA regulation in obesity and cancer" in the Department of Biochemistry at the University of Nebraska Medical Center (UNMC). 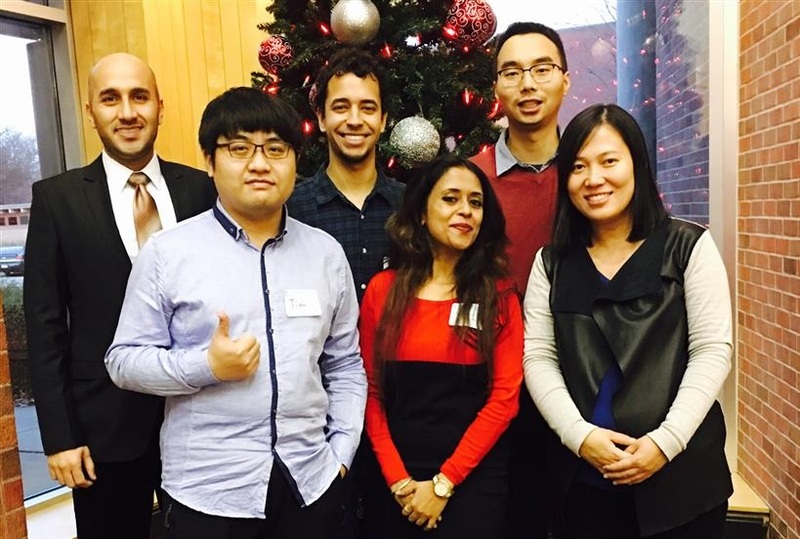 [Jan 2016] Chunxiao Liao and Bruno Vieira joined SBBI as the 3rd and 4th Ph.D. students. Welcome Bruno and Chunxiao! [Sep 2015] Jiang's paper has been accepted by PLoS ONE. [Sep 2015] Jiang presented his work at the 1st Annal Symposium of Nebraska Center for the Prevention of Obesity Diseases (NPOD) and received the "Best Poster Presentation Award". [Sep 2015] Jiang's paper has been accepted at the IEEE International Conference on Bioinformatics and Biomedicine (BIBM) 2015. [Aug 2015] Xiaoxue Wen joined SBBI for undergraduate research. Welcome Xiaoxue! [Aug 2015] Hanyuan Zhang joined SBBI as our 2nd Ph.D. student. Welcome Hanyuan! [Jun 2015] Dr. Cui was invited to serve on the TCP for The ACM Conference on Bioinformatics, Computational Biology, and Health Informatics (ACM-BCB) 2015. [Jun 2016] Welcome Lindsay Perez (Senior, Lincoln East Highschool) for as our summer intern! [Jun 2015] Kevin Chiang accepted a job offer from Tesla as a data engineer. Congratulations, Kevin!! [May 2015] Jaycee Han joined our group as a Master student. Welcome Jaycee! [May 2015] Kaiyue Pan from School of Engineering at Mcgill University joined our group as the first visiting student. Welcome Kaiyue! [Apr 2015] The Dietary MicroRNA Database paper has been accepted for publicaton in PLoS ONE. Congratulations, Kevin! [Apr 2015] Jiang presented his work on "Computational characterization of microRNA-mediated association between Obesity and Cancer" at AACR Annual Meeting 2015, Pheladelphia, Pennsylvania. [Apr 2015] Dr. Dongyu Zhao from the Chinese Academy of Sciences joined our group as the first post-doc. Welcome Dongyu! [Feb 2015] Drs. Leen Kiat, Miller and Cui organized three workshops entitiled “CS4Everyone: Computer Science is for Everyone ” as part of the Nebraska Women in Science Conference. Thanks to Jiang, Chunxiao, Natasha and Doug for your assistance during the event! [Oct 2014] Drs. Sarma and Cui led the UNL BRAID group participating Grace Hopper Celebration of Women in Computing which is presented by the Anita Borg Institute for Women and Technology and the Association for Computing Machinery. [Oct 2014] Our cancer genome paper "Comprehensive Characterization of Genomic Alterations in Human Gastric Cancer" was accepted by the International Journal of Cancer. 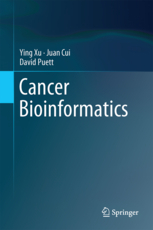 [Sep 2014] The book "Cancer Bioinformatics", co-authored by Dr. Cui is published by Springer. [Sep 2014] Dr. Cui joined the editorial board of Journal of Nutritional Biochemistry. [Sep 2014] The CSE report on “Summer Bioinformatics Workshop Proves to be a Success”. [Sep 2014] Jonathan Sherman joined our lab as a undergraduate research assistant and a prospective Master student. Welcome Jon! [Apr 2014] Jiang Shu presented his work on “Dynamic microRNA regulation in human gene network” at the NGN retreat 2014 and received the "Best Poster Presentation Award"
[Apr 2014] Dr. Cui recived the travel award and attended the International Workshop on Engineered Crops, Des Moines, IA. [Jan 2014] Jiang Shu joined SBBI as the first Ph.D. student. Welcome Jiang! [Nov 2013] Dr. Cui was invited to serve the editorial board of JSM Computer Science & Engineering. [Sep 2013] Kevin Chiang joined SBBI as the first graduate student. Welcome Kevin!